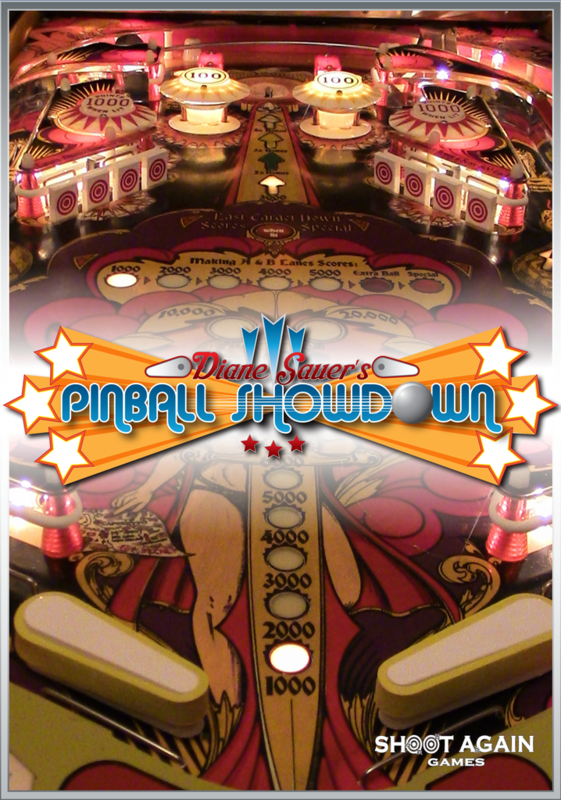 In Pinball Showdown you and the other players are the pinballs and the pinball machine is going like crazy! Before you have time to think, multi-ball starts placing you and the other players in competition to score the various pop bumpers, drop targets and other playfield devices. You and the other pinballs have only a short time to score the most points and complete the various combos for bonuses before it's all over and you inevitably drain. Players are dealt ten cards each of which represents a pinball playfield device. Each turn the players all select one card from their hand and one is added from the draw deck. 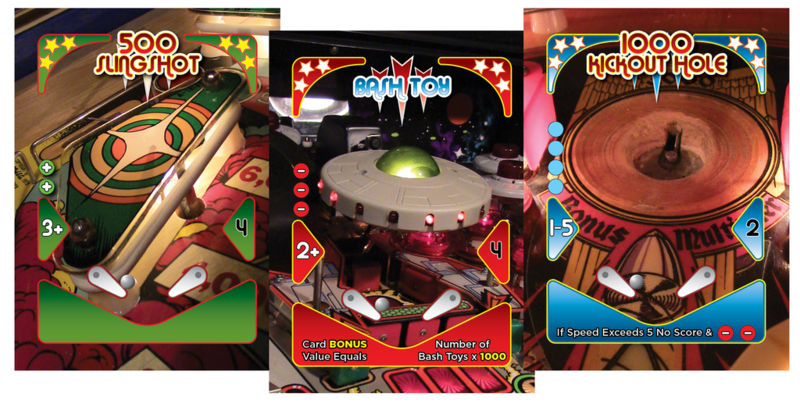 These cards are placed face up in the center of the table and are the playfield devices that pinballs can steer towards and try to score this round. Starting with the first player, each player has three options. They may place a bid on a playfield device (Steer towards it), spend one or more control tokens to increase the speed of their pinball and they may purchase a playfield card from the discard pile. They many do any or all of these options or pass and do none. The highest bidders on each device takes their card and, assuming they meet the speed requirements to complete the device, they score it. Anyone who did not bid on a device starting with the first player selects one of the remaining devices. Pinballs must be going the speed listed on the device they get or greater to score it. If they are not, it is not scored and they still lose speed according to the device. Devices that are scored affect speed and can cause your pinball to speed up or slow down depending on the device. Besides scoring devices and trying not to drain by hitting a speed of zero, players are all competing to finish various combinations which score additional bonuses. At the end of ten rounds, the player that scored the most points wins.